It is interesting to me how society can be so repetitive when one of the things that society is best at is rebellion. It is almost as if we spend our lives trying to find loopholes and ways around rules that we don’t agree with or rules that we don’t like, yet, we all end up in the same place, more or less. From the very beginning of Genesis, we have Eve disobeying God in the garden. Her disobedience is not met with death, but rather, it receives an invitation to go on living, albeit somewhere else. This point seems to resonate with even our society today: everyone makes mistakes and most of us just go on to live afterward. Even Moses stresses this point, as he includes a large number of genealogies throughout the entire book of Genesis. Even with Noah and the flood, some part of society is allowed to go on living, even though mistakes were made. This continuation and repetition is more of the philosophical, circle of life type of point, but what is more intriguing to me is how our choices and rebellions contribute to change. For example, Eve’s decision in the garden resulted in clothing, among other things, which made for a slightly different way to continue living life. It seems to me that change is sprung though rebellion and disobedience, and the change builds up on a small-scale to create a large-scale different way of living that advances society over generations, without straying from the path of life. Immanuel Kant brings up an interesting point at the start of his Conjectural Beginning of Human History that alludes to Plato’s Cave Allegory. 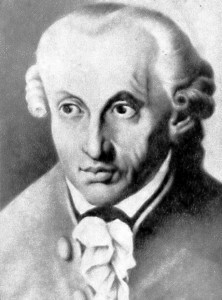 In essence, Kant writes that the freedom to choose a way of living is not something that one can turn from, once it is discovered. Basically, we like to feel as though we are in control of our lives, even though nature dictates its length, which Kant further touches on. 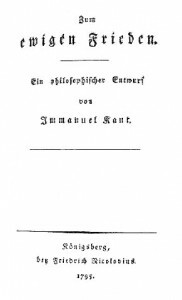 Kant notes later in the text that nature restricts the level of advancement that can be achieved through freedom of thought, in regards to science. In this sense, he acknowledges that humans are intelligent, and capable of creating change on a large scale, but we are restricted by death. In this way, nature allows only for change on a small scale, while forcing a repetitive rhythm of life: birth, education, contribution, death. I am one that believes in change, whether it is genuine originality, or a remake of a previous idea. I do, however, appreciate that change most often comes in small increments, which, I suppose, indicates that I don’t mind the repetitiousness of life as I know it. Going back to last week, it is easy for me to imagine Sisyphus as happy, as perhaps he is content in knowing what comes next, and change may come in his lifetime-a change in weather patterns or, in his case, muscle mass, it doesn’t come fast enough to have a huge impact on his life. Change only comes fast enough to keep life interesting. Hippocrates states: ars longa, vita brevis, meaning “Art is long, life is short”. I think that the same concept can be applied to change: Change is long, Life is short.